Length 5 to 7 mm. The elytra are mainly pale brown marked with darker blotches, whilst the head and pronotum are nearly black. 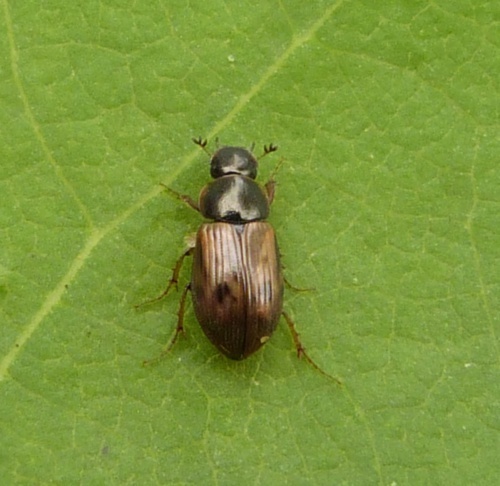 There are similar species, particularly Aphodius contaminatus, and detailed examination is necessary for identification. Sometimes seen in early spring but mainly an autumn species, found during September and October. A local species throughout England and southern Scotland, though often quite common where found.